There still is a lot of confusion around the new Groups for Office 365 fabric that helps people collaborate. Typically, either a lack of knowledge on what it actually does or simply an uncertainty of how and when to use it. This video tries to explain both what Groups for Office 365 are, as well as how you can start using it in your organization. That’s what Groups for Office 365 actually does and why Microsoft calls it the fabric. It’s a SharePoint Site Collection to which you only have access to a document library that appears as “OneDrive” for that Group. It’s also a OneNote Notebook, email conversations that all members see instead of between individuals as well as an Outlook Calendar. How do you use Groups for Office 365? First, you have to understand what it is and what’s possible with it. In the future, Delve will expand to show a profile per Group as well as all Activity happening within that Group which will eventually be linked to a Yammer Group as well. Different people, different teams or groups do not always work the same way with the same tools. Groups for Office 365 gives them the choice, and more importantly, a way to start with something and evolve naturally into something more. Hi, everyone. My name is Benjamin Niaulin. I'm an Office 365 MVP, and we're here at Sharegate. Today, I want to talk to you about Groups. But we've talked about Groups for Office 365 before, what it is, what you get with it. In this video, we're going to look at how can you work with it. Let's look at this. All right, so how do you work with Groups? And that's the question that I keep hearing, because a lot of people are getting confused. "Groups for Office 365? No! That's taking over my Yammer! No, that's taking over Team Sites!" And you couldn't be further from the truth. Groups is something else altogether. And what it is, and we're going to be looking at it here on my board behind me, is really more of a magnet. Groups isn't something that you start downloading and installing and using. 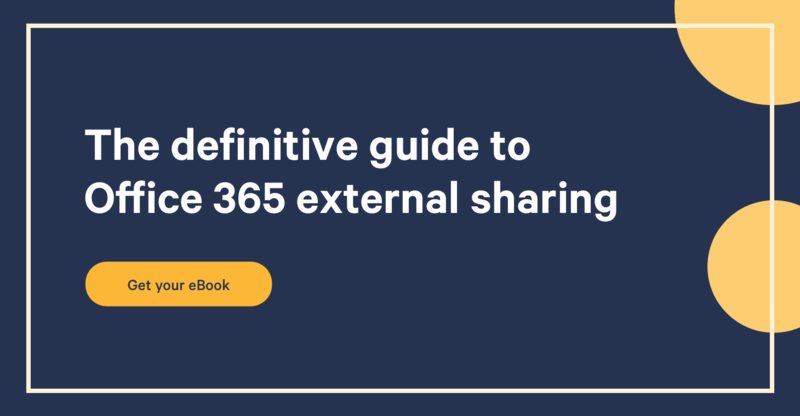 It's more something that looks at what you already have, things like Yammer, things like e-mails, things like SharePoint sites, and brings them together in a notion of group. It takes the little of pieces that you already have and puts those little pieces together and allows a team to work together. But it doesn't have to start in the same way for everyone. So let me recap quickly about Groups for Office 365, and then we'll go from there. So first, you've got Groups for Office 365. And that isn't... again, it's not a new product. It's not something you go like Word or SharePoint. It's more a notion. They call it a "fabric" at Microsoft, something that pulls everything together, really. So with Groups for Office 365, you're going to get things like conversations. You're going to get, in these conversations, it's really e-mails. It takes the piece of Outlook e-mails, and it allows every member of a group to have conversation by e-mail. The advantage here is that they can also receive e-mail from the outside. So this type of communication brings the e-mail part of your Outlook and allows everyone that is in the same group or team to have these types of conversations. So far, so good? Awesome. Then, you have a Notebook. So every time we create a group, as well as you get your conversation, you get a Notebook, which is essentially a OneNote file that allows you to put some thoughts together. So let me give you an example. Right here at Sharegate, I work often by publishing blogs. So we have a group of people, a team, if you will, that helps me in publishing these blog posts. We have people that are there for design, we have there people for many different things. So we'll have some conversations by e-mail. But they're an open e-mail. So if tomorrow a new person joins the team to help us publish new blog posts, we'll be able to see all the previous e-mails and participate in future e-mails. They'll always open. And that's the very big difference in people working with e-mail right now because if I send an e-mail to my friend here, Mathieu, who's looking at the camera lens, making sure everything's okay. But if I'm sending him an e-mail, he's the only person that knows about this e-mail, and we're chatting back and forth. No one else can benefit from there. In a Group e-mails, even tomorrow, if I have a new member joining in, we're good to go. Now if I continue with that example and how we work with, let's say, blog publishing, I'll then have a Notebook. There, it's a OneNote, so getting thoughts, and you can clip something from the web when you get ideas. So when I'm browsing the Internet, and I think something could be good to talk about in a future blog post that I would like to publish, well, I'll grab it and put it in my Notebook. I'll also put some thoughts down, so I'll put different categories of blogs and different articles that I can publish there. That's going to be another idea. So all of these ideas on what I could talk about in the upcoming weeks or months as topics, I'll put them in the OneNote Notebook. So once again, everyone can put in some thoughts within the team in the same place. And that is our Group. There is no "something" that we download. It's just a way that we work together. Next thing, I'll go over here. Actually, I'll go back right here. Typical French thing. We get a Calendar. And that is one of the biggest pieces. The Calendar is an Outlook Calendar. It takes the Outlook Calendar, but it gives it to the Group. So the blog group, the blog team here at Sharegate, has conversations between the members. If we're dealing with somebody from the press, or from outside of the organization, we can give them an e-mail so they can send and we can participate with that person as part of open e-mails, we have a Notebook where we share thoughts on what could the next topics be, and we also get a Calendar, which is an Outlook Calendar, but it belongs to the group itself. It doesn't belong to a particular person. So when that person leaves, the Calendar doesn't leave with that person. So there, we have our Calendar of blogs. When is something going to be published? What date? Who's in charge? What are some of the ideas? And I can subscribe to that Calendar so that I see it on my personal calendar as well or I can just overlay and use the regular Outlook overlay. The benefit for me, as an individual user, I stay in Outlook. I have e-mail conversations, quickly shift to a Notebook, and I already have my calendar available to me. So this is another great piece, and I absolutely love this. In fact, another way to work with it is vacation request. You create a group for vacation request, and you could just be using the Calendar piece. And that's the key takeaway from this video is, you have to understand, it's not because you use Groups for Office 365 that you're going to have to use every single piece that we have here, with Files and Yammer and Notebooks. You could just be using Calendar because the reality is, teams evolve, and need different things in the future. So taking the example where I create a group for our vacations requests here at Sharegate, which we have, actually. And we have a Calendar. And because it's a group, it has its own e-mail address, and the Calendar itself as well. So whenever somebody needs to request a new vacation, they just invite the group. Somebody goes through and approves it, of course. Now later on, we may decide that, "You know what? We'd like to add conversations to this, and start provisioning the conversation piece of the group." And as that evolve, perhaps we'll turn to Files in submitting an actual proposition or a submission for request, if that's even a word. Submit, there we go, a vacation request form, and that will go as part of the Files. Microsoft has announced that with Groups, over time, you'll be able to start with one piece, and provision the rest later. So you may start with just the Calendar, just to be able to organize things for your team, whether it's a project, whether it's a social activity that you're organizing, a barbecue, or anything at the office that involves more than a person, you could start with just one of these things, and slowly provision the rest, such as Files. And that's the next piece of Groups. What happen with this is that it actually starts leveraging SharePoint, where before we were leveraging Exchange, or Outlook, if you're familiar with that. Here, every time we create a Group, we get a hidden SharePoint site collection, and in there, we get a document library. But for end-users who are just using the Groups to work with, they'll get it as OneDrive, but it's actually a SharePoint document library. So you get all the benefits of SharePoint, of course. So I know it's confusing. How do we work? The flow is simple. Depending on your team, depending on the group of people, whether it's one sometimes, or two, or three, or ten, or 50, you start using what you need. Now it could be just that you need to put files together somewhere, or it could just be that you need a Calendar, or that you're working in CRM, even, or you just need a place to put thoughts and grab notes. And as the team grows, and as the needs for that project evolve, you'll be able to start leveraging the other pieces. And that's the benefit of Groups, is that you don't have to worry about the technology anymore. You just grab what you need when you need it, but it's all tied in together. So when you go look at your Groups activity, or you look at your Groups profile in Office 365, you'll see all of these merged together. 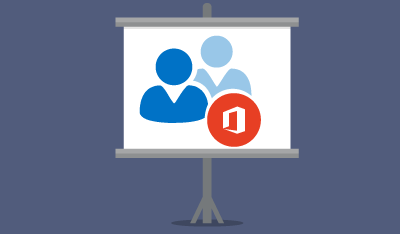 So whether it's an e-mail, a Yammer conversation, or a file in OneDrive, or SharePoint document library, you'll see it as one Group activity. And that is the difference. Is it going to take over Yammer? Of course not. Groups isn't anything in particular. It isn't something. What it is, is actually bringing . . . if you start with Yammer, if your organization is already ready with Yammer and you've been rolling out Yammer for a year now, you don't have to worry about Groups. The Yammer Groups that you've created, eventually, you'll be able to say, "Well, you know what? That Yammer group that we've created for marketing, for sales, for engineering, for a particular project, maybe you'll want to evolve." Maybe tomorrow what they need, on top of those Yammer conversations and links and praises, maybe that group needs files. And that's what Office 365 Groups, or Groups for Office 365 are, is the ability to consume the different pieces that are already available, bringing them down together, or a fabric that pulls everything, really, together. So take a look at that. Look at the flow of working. You could be starting with one, and then provisioning the others. It's not about taking over anything, really, but just bringing everything together. I hope that makes sense, and have an awesome day.